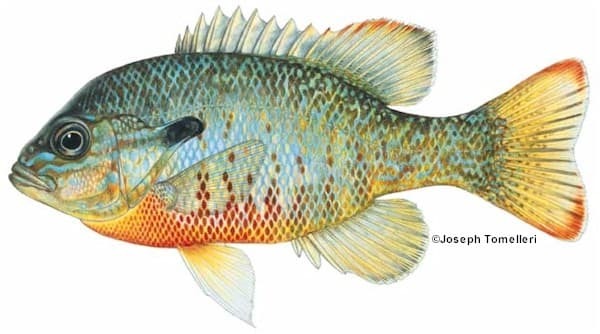 Identification: The redbreast sunfish is very deep-bodied and strongly compressed laterally. The opercle, or gill cover, is long and black with no colored border. The body is usually golden brown to olive, with the dorsal surface darker. Sides are lighter in color with small reddish spots, vague blue streaks, and a yellow to orange-red breast.